If you’ve been around the block in online business, you know how awful it can be to have a negative review or comment. And if that review appears on Google, that’d be a nightmare you’d never want to experience. Therefore, it’s always important to know how not to panic and handle such situations calmly and carefully when they arise; normally we called it “Reputation Management”. Because, let’s face it! All of us have competitors and there’s always somebody looking for ways to say a negative word or two about you and your brand. There can be a ton of other things that can lead to a negative comment or review to and can hurt your business’s online reputation. An unsatisfied customer… a misunderstanding… or simply a rumor somebody spread about you. Whatever the reason might be, it’s always wise to stay on the safe side and know beforehand what to do and what not to do, should you face a situation like this. This post will show you how to spot those stains on your online reputation and cover them so your audience only sees what you want them to see and you come across as a trusted authority in your market. Okay, before we get into the nitty-gritty of brand online reputation management, let’s take a look at some stats showing the value of each search result position in Google. 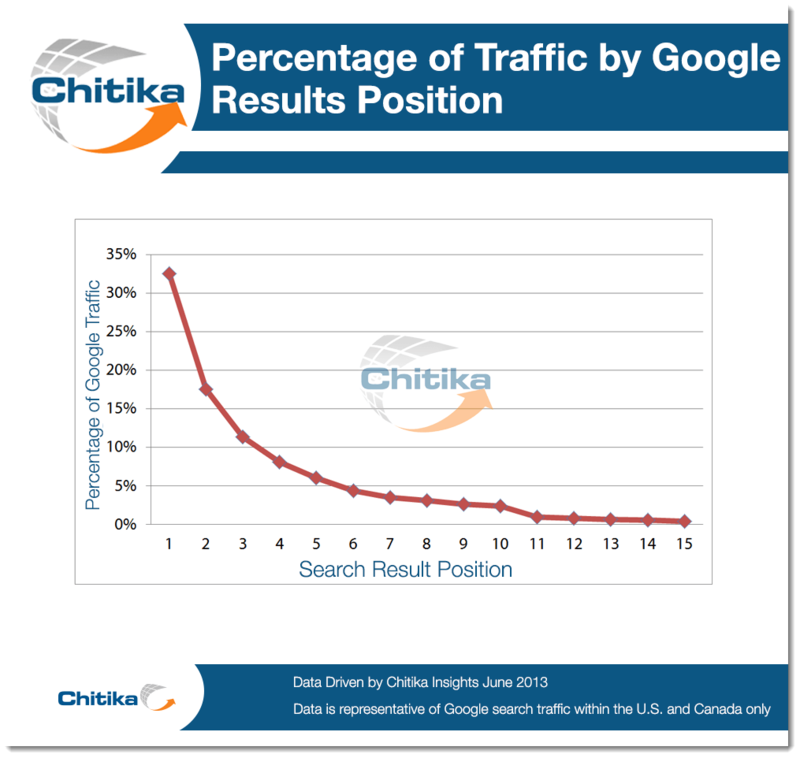 Here’s the breakdown of average traffic percentages by Google results ranking for results 1 – 15. It’s very clear that #1 rank in Google results is the highest traffic generator and with an increase in the rank number, the average traffic is decreasing. Now suppose if a negative result is ranking for your brand name on Google search results between 1 and 10, how would that affect your business reputation? But don’t worry! I’ve got you covered. Here are some actionable tips you can use to get rid of any and all negative results about your brand… and establish a solid online reputation that’s bursting with trust and credibility. 1 – The easiest way to get rid of a negative review or comment is to contact the webmaster where negative content is published against your brand and request them to remove that content. You’ll need to tell them how that negative content is hurting your business reputation and provide some evidence as to why these comments or reviews are baseless rumors. BUT… if there is a genuine issue in your brand/product, you need to first fix that issue before reaching out to the concerned webmaster. Let them know when you have overcome the issue and request them to replace that content with positive review or remove it. For this process, you must have webmaster’s email. Here are different methods to find the contact email of the webmaster. Go to the website and check out the contact us and about us pages to see if there’s any email address. If the email address is not publicly available on their site, move on to method 2. Subscribe to their newsletter. When you receive an update form them note that particular email id. Search the name of the author of that negative content and in Google with this search query: “Author name email id”. 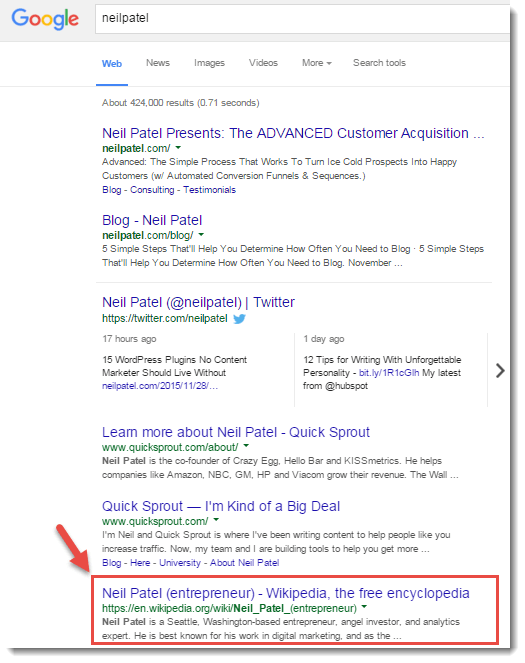 For example, if I want to find Neil Patel’s email address, I’d search “Neil Patel Email ID”. Now press Ctrl+F and hit enter with “@” in search bar and you’ll see the email address (in mostly cases). Check out their social profiles to find their email address. Most people who publish content online have accounts on social media sites like Facebook, Google +, LinkedIn etc. You can check their social media profiles to get their email address. 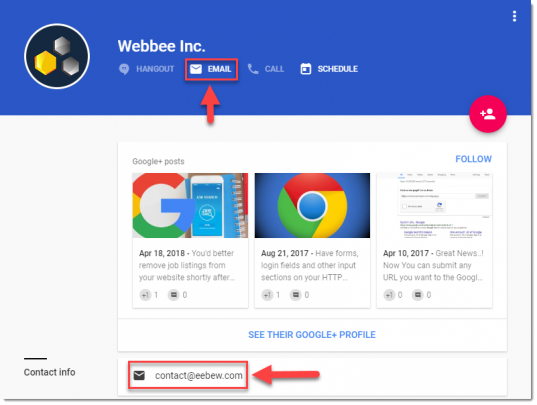 For example, here’s the Google+ page of Webbee Inc… You can easily find the email address in the “About” section. *Note: This tool has been transformed into Mailshake (a solution for cold emails), so this method is not working anymore. You can also find the concerned person’s email address using the tool contentmarketer.io by Sujan Patel. This tool can help you to extract email addresses from a posts containing Twitter handles. Or, you can simply insert Twitter URL to get email address of the person you wanna contact. After signing up at contentmarketer.io, click “Scan a Post” and enter the twitter URL of the concerned company or person. Using these methods, you’ll be able to find out the email address of the webmaster. Now all you have to do is email them and ask them to remove the negative stuff. But, what if the webmaster responds or refuses to remove the negative content? 2 – Submit a Legal Removal Request to Google. But again… make sure that the negative content is not legit and is wrongly hurting your brand reputation. 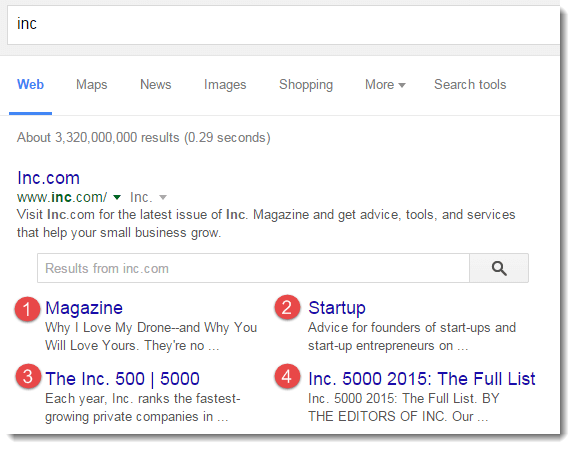 These quick and easy approaches will hopefully help you get rid of the negative content, but in case they don’t work… you can still take measures to bring negative search results down at least from the first page of Google. All you need to do is apply some SEO tactics to push down negative search results and replace them with positive and credible ones. There are different techniques that can help you push down those negative results and I have divided them into three sections to make it easier for you to understand and implement them. Use high priority techniques first to get positive results faster. Then, move on to medium and then low priority ones. Google site links count could be different. It could be two, three, four, six, or more. In some cases, I have seen ten site links for a brand query. You can’t really control what appears in your site links but you can follow some best practices to get site links for your website on Google. Now let me show you the real benefit on these site links. 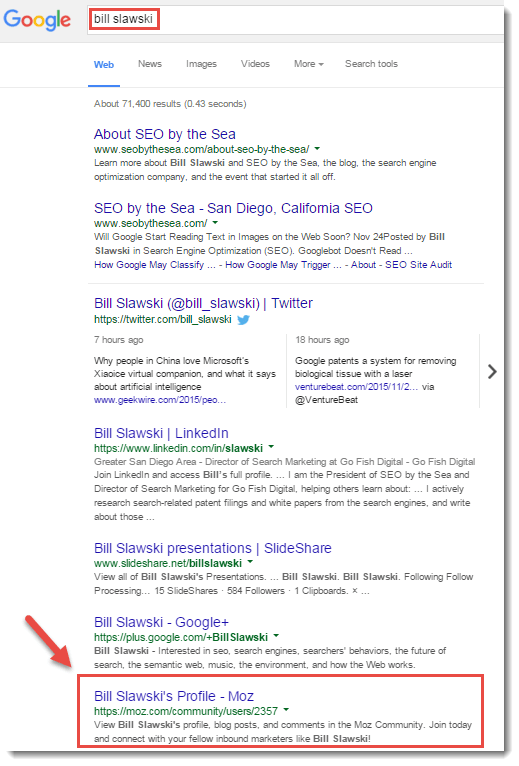 Site links can take the place of search results in Google. For example, if you have six site links for your brand query, you’ll see total 7 results in Google instead of 10, because those 6 sitelinks will also be considered as search results. 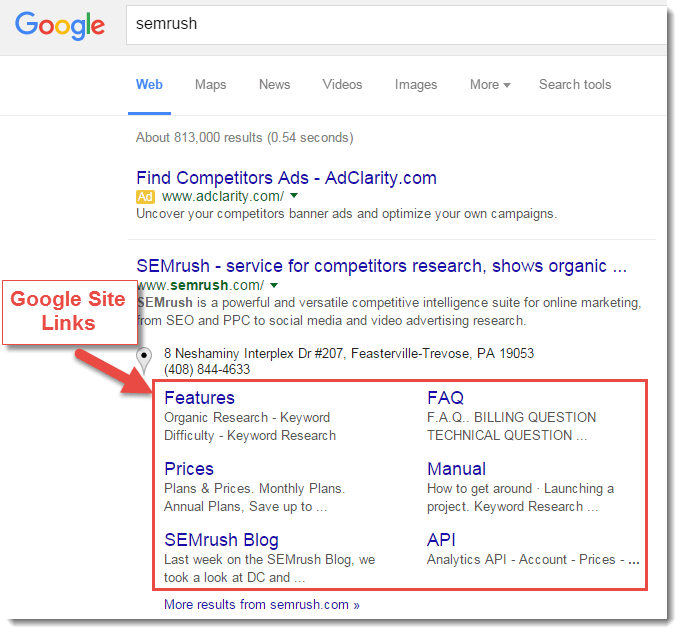 For example, when you search for “semrush” in Google, it has 6 site links in three rows (see the image below). And due to the presence of site-links, there are seven other results instead of ten. 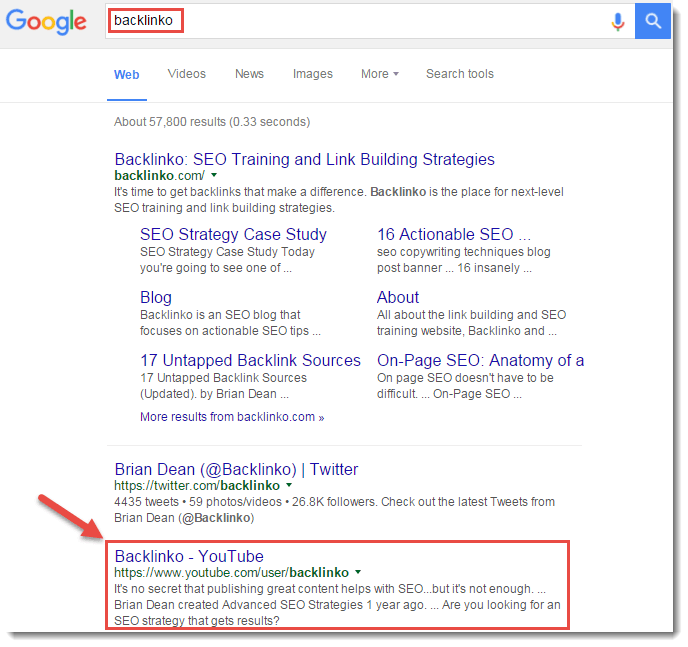 Now, what this means for you is that if 6 site links enables for your brand keyword, you’d need to take care of only 7 results instead of 10. Optimize your website pages by adding brand name on page titles. It can help in branding your website on Search Engine (Google). 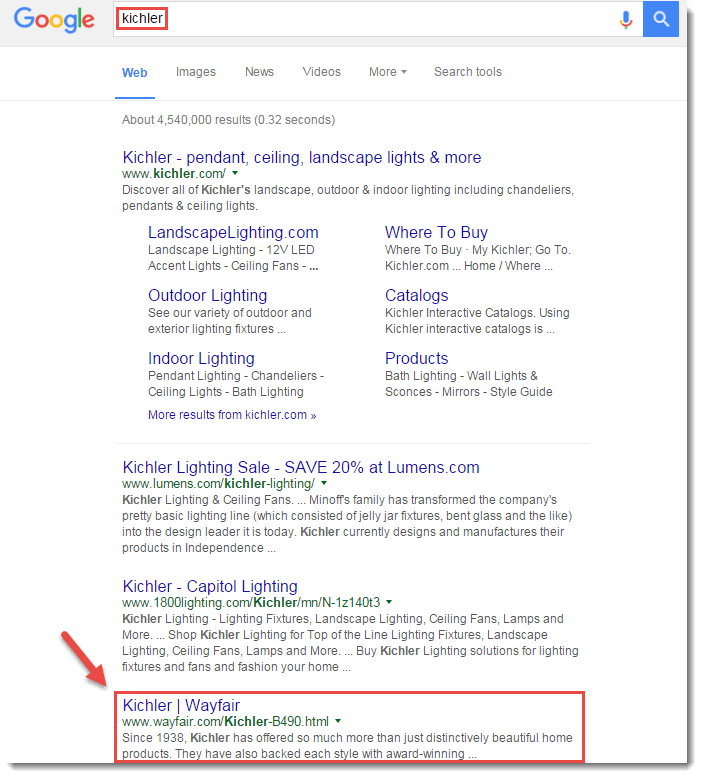 And it’s possible that Google will show multiple brand pages for your brand name. The reason it’s showing three pages of the same website is because Webbee has used brand name in page titles. 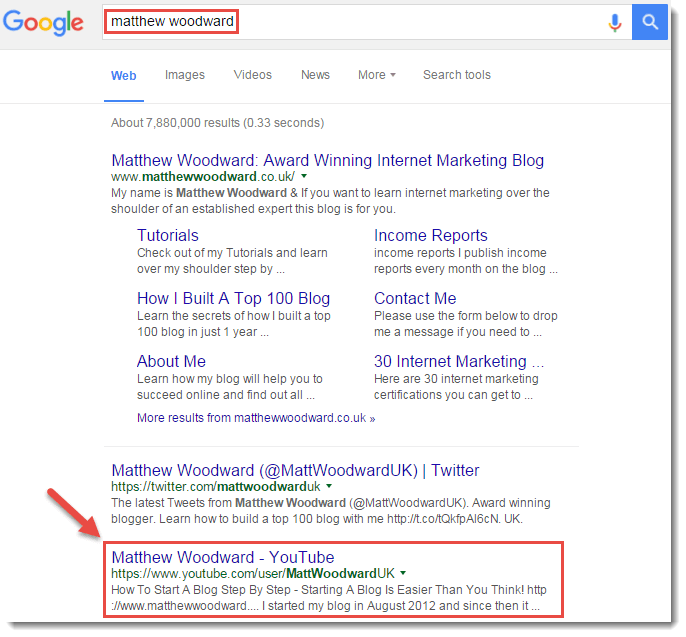 This simple technique can help you secure a few positions on the first page of Google search results. 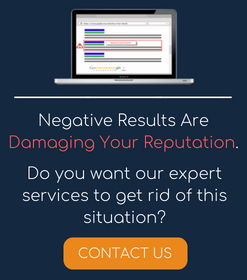 This means you can push down the negative results and replace them with authoritative pages. Here’s a Little Warning, Though: Don’t implement this technique aggressively. Instead, optimize only some of your main pages like about us, contact us or main directory pages and leave the deeper ones. Also, don’t replace whole page title with your brand name. Just add brand name in the beginning or end of the page title. The reason I am telling you to add brand name instead of replacing is that if you replace the old title with brand name, it can create title duplication… and you can lose some rankings if the titles you replaced is performing well in the SERPs. So you should be very careful when doing this. 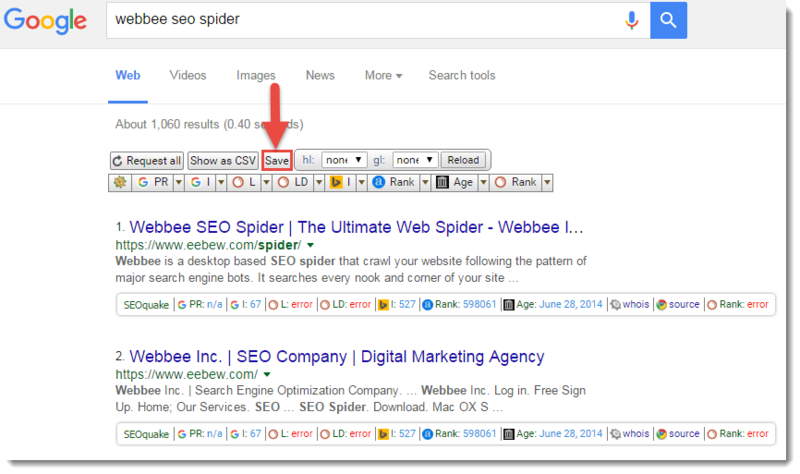 You can use Webbee SEO Spider tool to crawl all of your website page titles. It can help you select pages to add brand name in titles. If you haven’t created social profiles for your brand yet, you’re missing out on a lot of brand exposure, because social profiles rank well on search engine results. Quick tip: Keep your branding consistent on all social media profiles to quickly build a long lasting impression on your visitors. 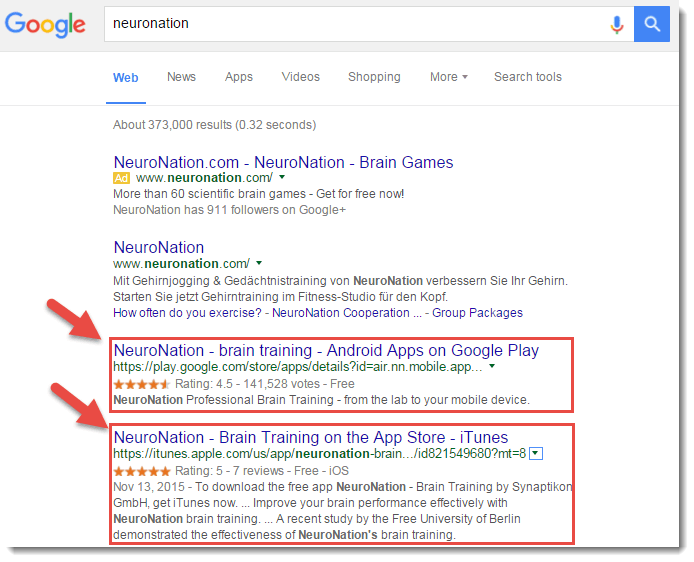 Just recently, Google has started showing android and IOS apps in search results for brand keywords. Previously, this feature was only available on mobile but now, you’ll see these results on desktop search results too (If app is available). Both Android and IOS apps are showing in search results, right after the website. So if you want to reap some more SEO benefits and push down those negative results, you might want to consider creating an app for your business. 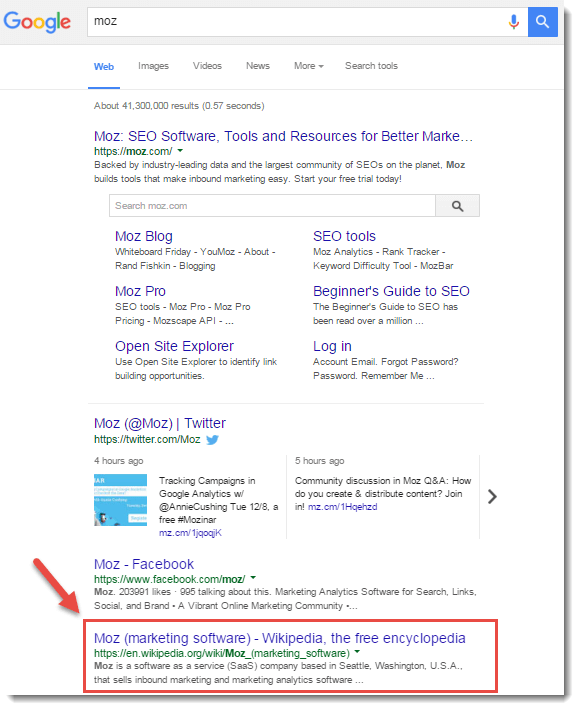 There are good chances that Google will display these pages in search results for “Your brand facebook” keyword. 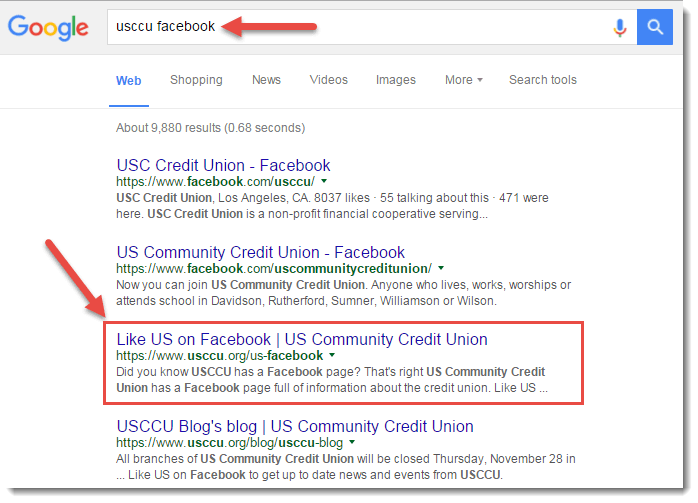 Usccu.org is following this same technique and you can see for yourself how that specific page is ranking right under their Facebook page. 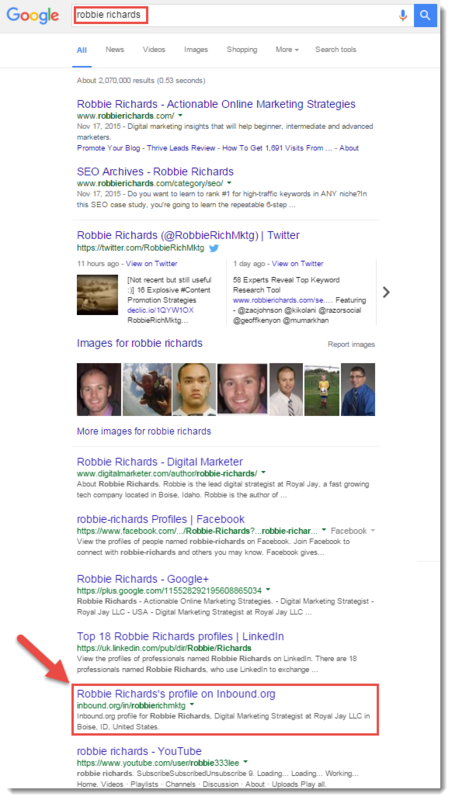 You can create multiple pages like this to rank higher than negative result in Google. Because, Google will also prefer the page with original domain + the branded keyword. You can use this process to push down the negative results for other branded keywords, too. You just need to be a bit more creative. 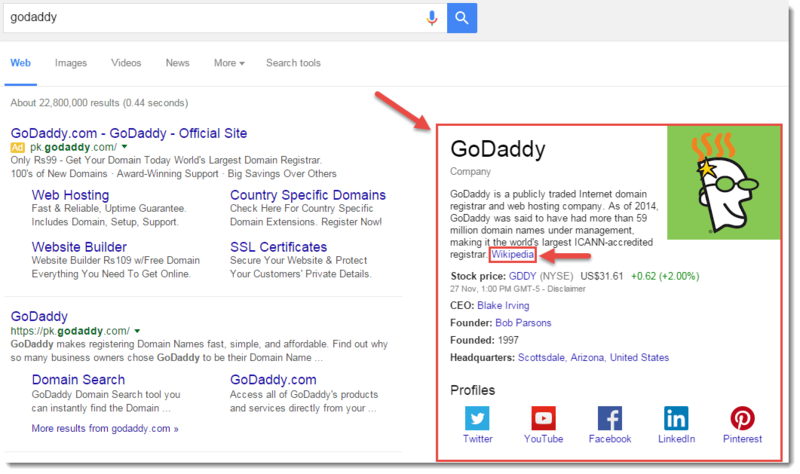 Buy a domain that matches your brand name, as exact keyword phrases can perform very well on Google search results. 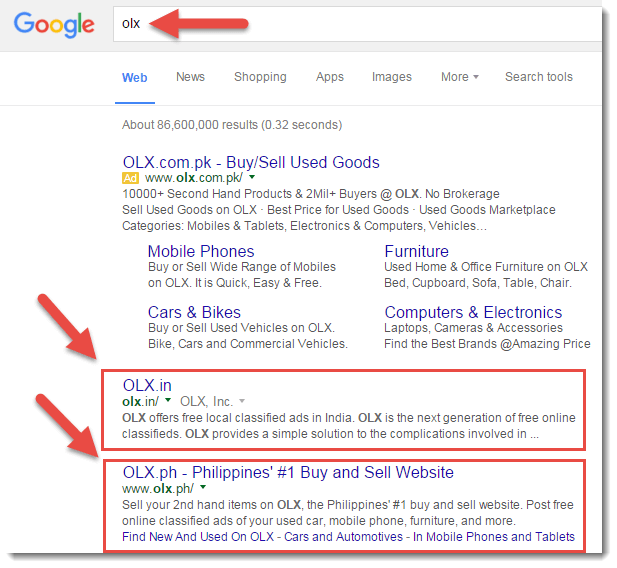 In OLX’s case, when you search “OLX” in Google, it is also showing domains with different TLDs. If the same keyword phrases TLDS are not available, get as close to it as you can. They can also perform well against your brand name. If you have positive reviews ranking on your brand keywords from authoritative sites, then they can serve very well as low hanging fruits for you. 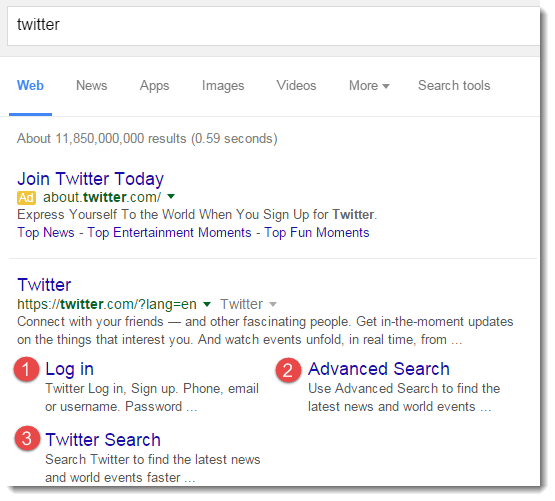 With little effort, you can push these pages up in Google search results. 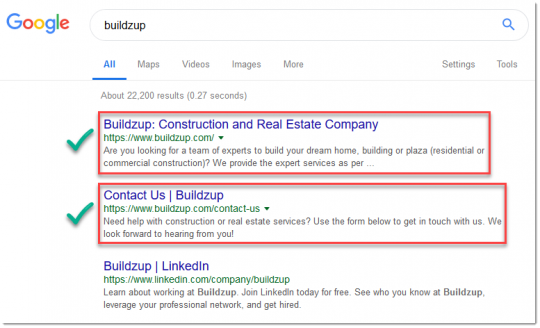 If, for example, some positive, authoritative reviews for your brand name are ranking on 2nd, 3rd or further pages on Google, you can find these results and put in some effort to push them on the first page in search results. Let me show you the whole procedure how to find such results? Install the extension SEOquake on your Browser. It’s available for both, Chrome and for Firefox. 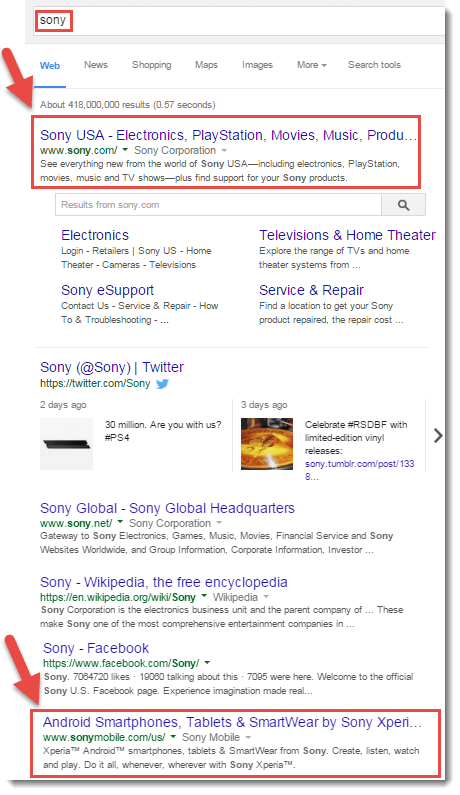 Now search your brand name in Google. By default, Google shows 10 results per page. You need to change it to 50 results per page. 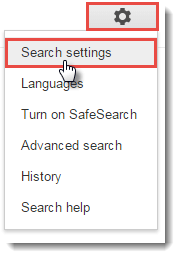 To do this, click the settings button and go to “Search Settings” on the top right side of your chrome browser. 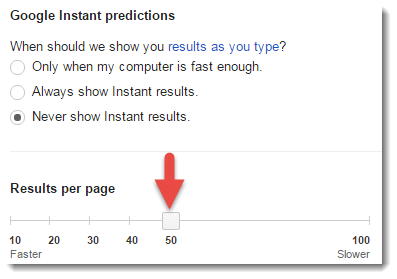 On the next page, check “Never Show Instant Results” under “Google Instant Predictions”. When you check this option, you’ll see a grid. Set result page per second on 50, instead of 10. Now click “Save” to apply this setting and you’ll be able to see 50 results instead of 10 on your browser. On your browser, you will see the options enabled by SEOquake. Click “Save” to download all these 50 search results. Now you need to crawl page titles for these 50 pages to understand the page type. You can use Webbee SEO Spider for this purpose. Filter out the pages that have positive reviews for your brand and note down their current ranking for your brand name. Now check the domain authority of these pages. To check the domain authority in bulk, you can use BulkDAChecker. Compare the domain authority with domain where negative content is published about you and filter out the domains that have a higher authority than the negative one. Add positive comments on these pages to add the content value. Share these pages on social media groups/profiles. Participate in Q&A sites like Quora, Yahoo Answers and link back to these pages from relevant questions. Share and linked these pages on relevant forums. You can also link to them from your website smartly. 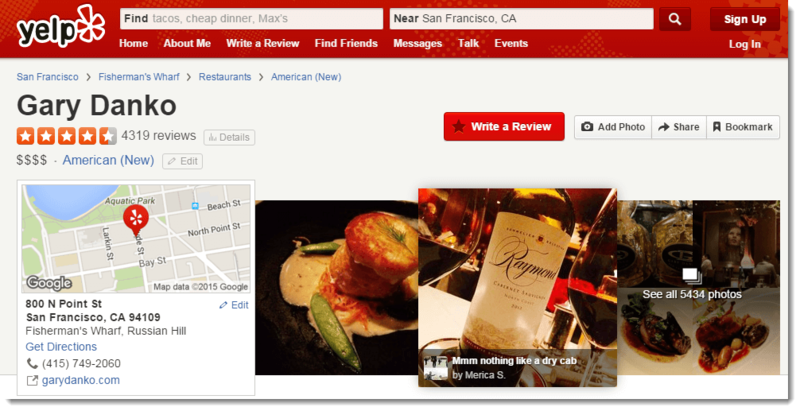 These activities can help you boost your selected positive reviews pages. These pages have a better chance of appearing on the 1st page as they’ll have higher authority as compared to negative result page. We all know the power and authority of the Wikipedia domain. 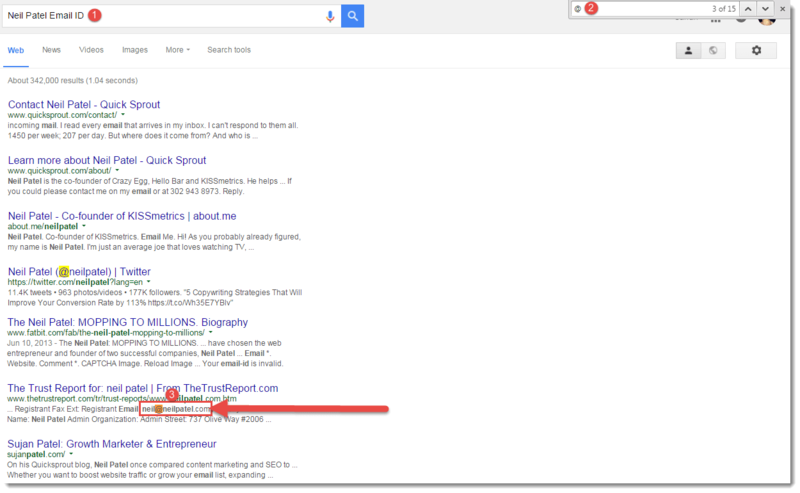 You can use this authority to add another positive result on the 1st page. 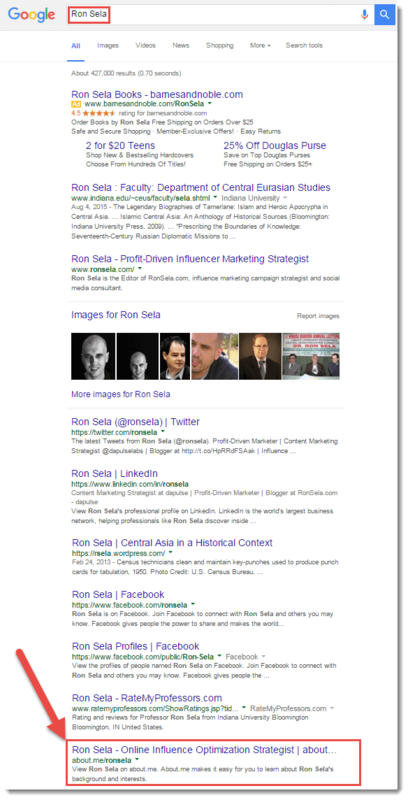 In fact, Google will fetch this information from Wikipedia to show on the knowledge graph. If you don’t already have one, you can use this guide to create a Page on Wikipedia. If you have business videos, then there is another opportunity that you can utilize to get maximum benefits. 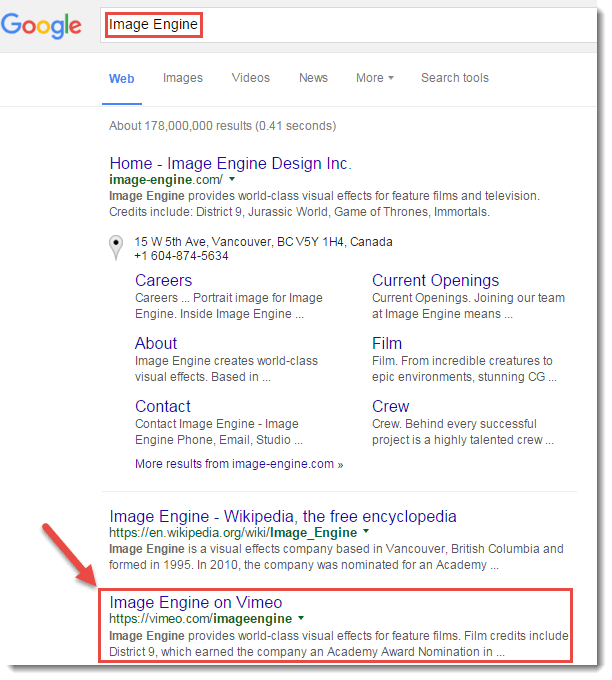 You can create business profiles on video sites to rank those videos on Google’s first page. You can rank these videos for non-branded keywords too, but this post is about online brand reputation, so I’ll talk about branded keywords alone. Create channels on these sites with your business name and upload your videos there. Don’t forget to add optimized (keyword focused) titles, descriptions and related tags on each video. Make it a practice to participate on different relevant authoritative blogs as a commentator. Activate alerts for authoritative blogs in your niche, comment there whenever new content is published and mention your brand when you feel it will help people. The benefit of this practice is that you can rank those articles against your brand name. Comment on authoritative blogs and there will be higher chances of them appearing on Google’s 1st page when someone searches for your brand name. Type the keyword you want to receive alerts about. 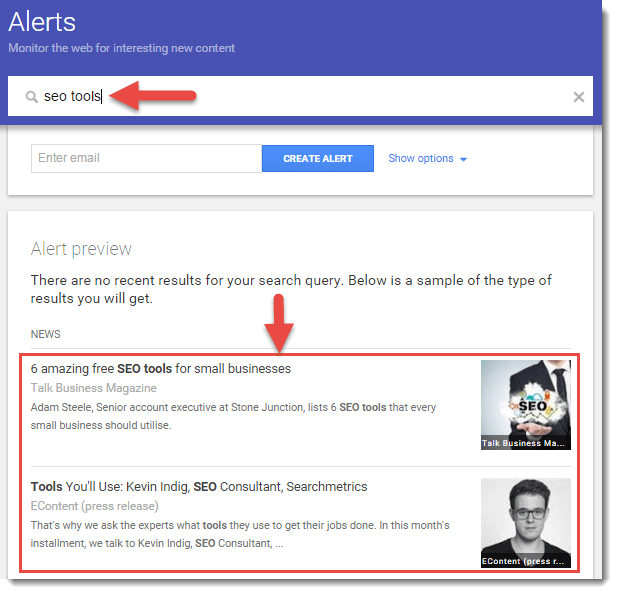 For example, if you’re interested in getting alerts about SEO tools, type it in the search bar and you’ll see recently published articles in the results. You can comment on articles you have insights to share on and you can also create alerts for future. To do this, simply enter your email address just below the search bar. You can customize your alert by clicking “Show options”, and once you’ve done that, press the “Create Alert” button. That’s it! You can create multiple alerts using the same process. Create business profiles on top authoritative sites. 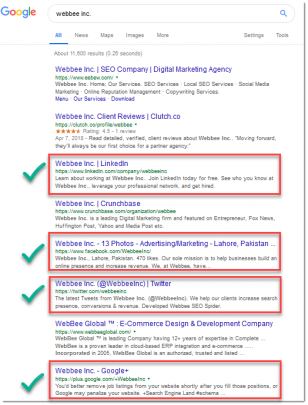 They can also rank on Google’s first page for your brand keyword. 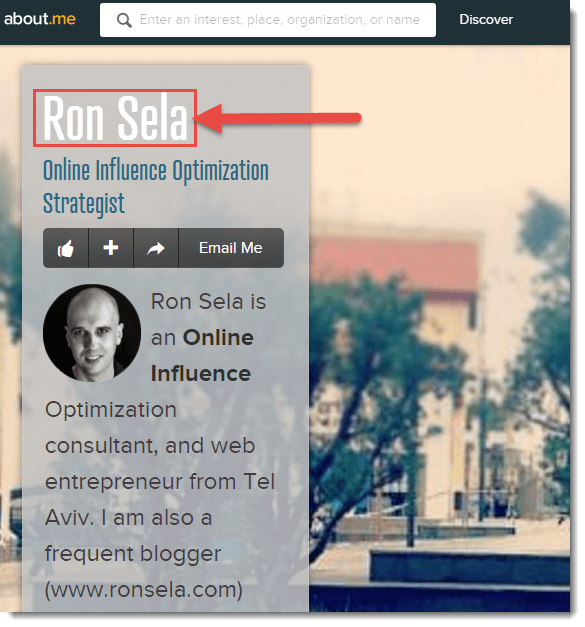 You can link back to your website from such profiles. When creating your profile, provide as much information about your business as possible. This will help you visitors know you better and perceive you as somebody they can trust. These profiles can not only help build authority, but also bring down the negative results from the first page. If your business is involved in manufacturing products, you can register your business name on famous online stores. This will not only help you make more sales, gain exposure, but also can help to replace the hurtful results from the Google 1st page. 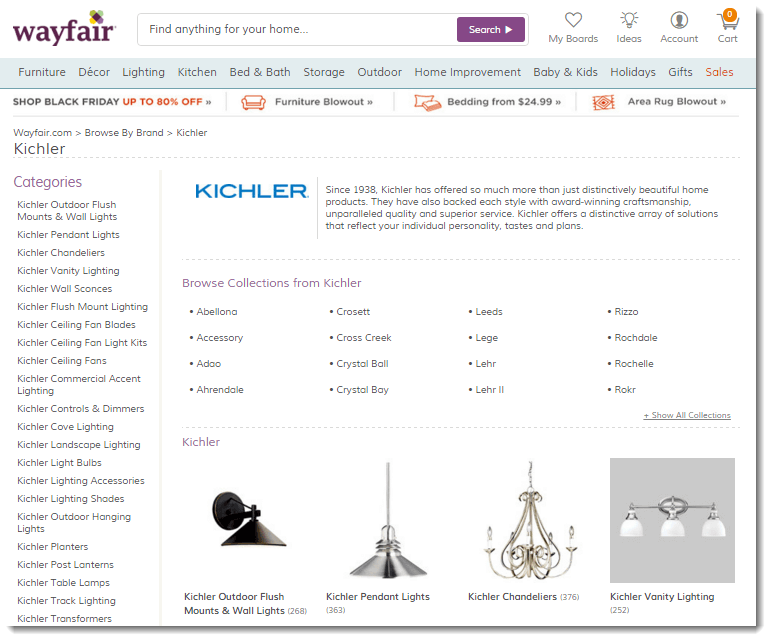 Kichler is a business, dealing in landscape, outdoor & indoor lighting. They submit their products on a well-known online store called Wayfair. If you have software, you can also make your software available for download on sites like Download.com, Upload.com, and Soft32.com etc. These are authority sites that allow you to list your software free of cost with some nice exposure on search engine. 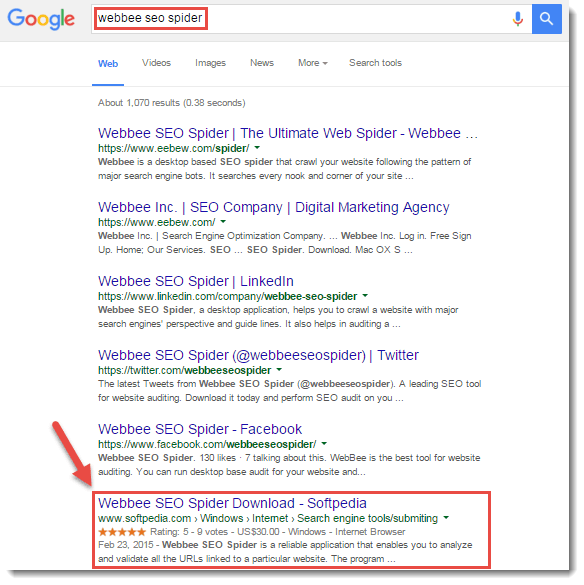 For example, we’ve listed our Webbee SEO Spider tool on Softpedia.com. And when you search for “Webbee SEO Spider”, you’ll see Softpedia ranking on Google’s 1st page for our brand keyword. Here are some authority websites where you can also list your software to secure some positive results on the first page and eliminate the bad ones. Guest blogging is always a good approach to gain exposure in digital world. Try to guest blog on sites that have a higher authority than those where negative content about you is published. These sites have a better chance of ranking on the 1st page and give you some extra credibility while swiping out the blemishes. Business directories are websites where you can submit your business details for people to find you easily. For this, you need to have NAP (Name, Address, and Phone Number). These sites are especially designed to help small businesses get better exposure and reach their customers easily. Due to the high authority of some of these sites, they can rank higher for your business name. 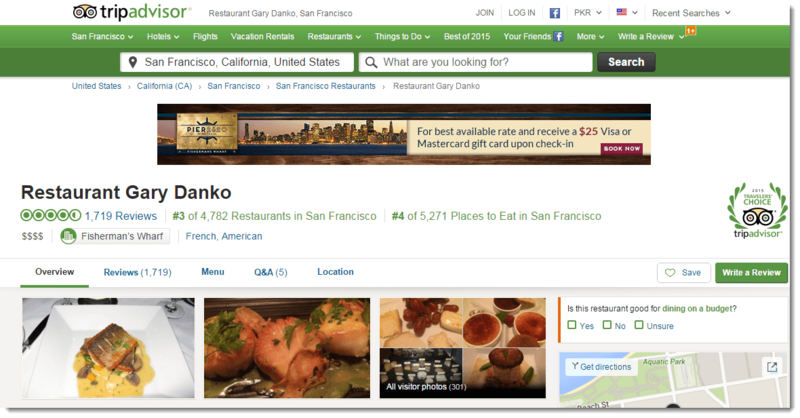 For example, Gary Danko is a restaurant in San Francisco. They have their business listed on Yelp and Tripadvisor. 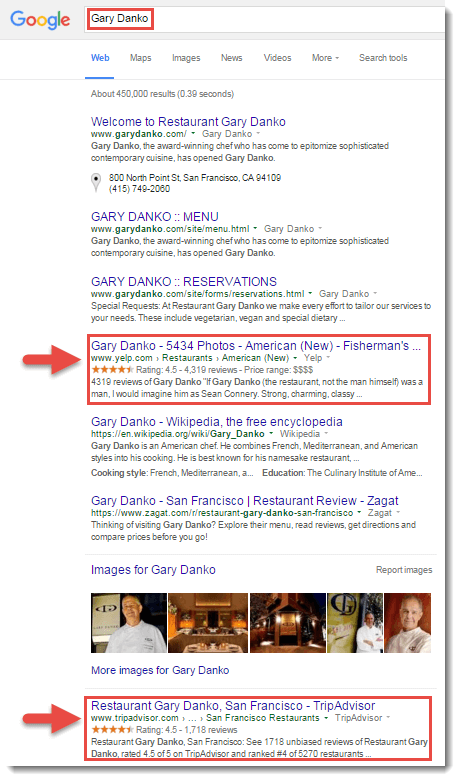 When you type “Gary Danko” in Google, you will see that these sites are ranking on 1st page. Participate on Q&A sites and ask questions related to your business, and answer questions that have been asked about your niches. As these sites have high authority, there are chances that these sites will rank for your business keywords. Be creative and helpful while answering questions because you don’t want to come across as promotional. Give insightful answers and drop a link to your website. This will make people not only like and rate your answer, but also follow your site to find out more about you. You’ll have another good result on the 1st page and possible get some new customers. It’s a win-win for you everywhere. You can create websites on Web 2.0 platform with your brand name. There are chances that these sites will rank for your brand name too. Although these are free, but still they have authority, so it wouldn’t hurt giving them a try. If they do rank high in search results, you’ll have another quality result replace the nasty ones. These were a handful of brand reputation techniques to help you remove/push down the damaging content about your brand in Google search results. What’s cool about them is that if even you don’t have any negative feedback haunting you all over the worldwide web (That’s brilliant, by the way! ), you can use these techniques to add a layer of security against any potential damage. Which of these techniques are you going to implement in your business? If you have another technique related to brand reputation management you can share it with me. I’d love to hear from you in the comments below. I lead the SEO department at an online reputation management company based in Denver, Colorado. It’s good to see a digital marketing colleague keeping up with the latest and greatest tools and techniques used by ORM companies. Even I, who consider myself to be very well versed with the latest ORM services and solutions, have to admit that I had not yet thought of a few of the tips you provided. Thanks again for the quality content! Joe, glad we could help. Looking forward to hearing much more from you. Very thorough and well written article. I am definitely bookmarking! Robert, you are welcome and thanks for the appreciation. Looking forward to hearing much more from you. 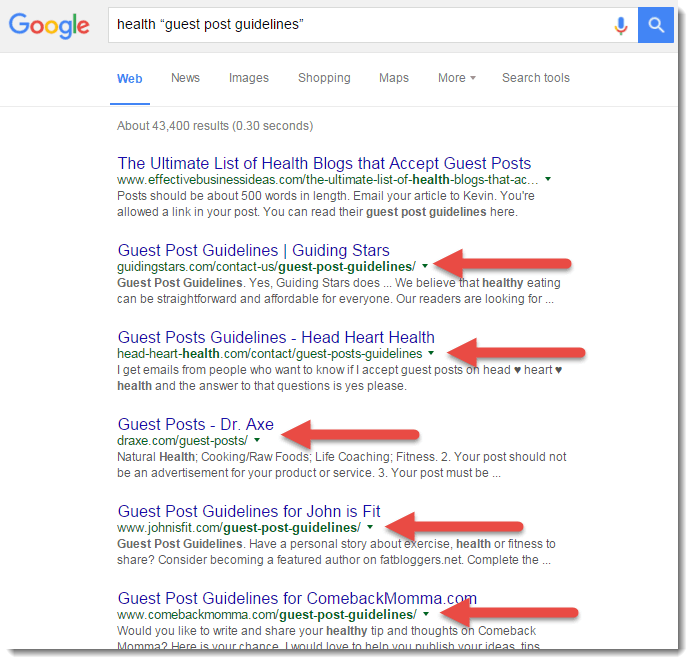 Great tips to remove negative content from google, thanks for sharing. I think this is the best article that I have read on this topic… and I have read quite a few now. Well done! That is wonderful to hear, let me know if you need any further help. Excellent tips. ORM is very important for the success of a brand name, and preventing the negative results is as much important for ORM. Thanks a lot for sharing this detailed information. It is a good article- profound. Kert, Glad the article was helpful. 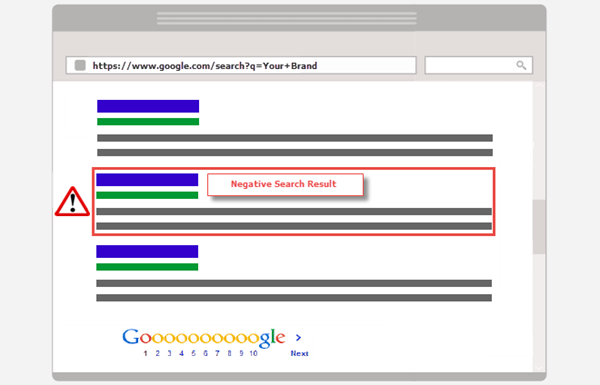 This is an interesting article to remove negative search results from Google, amazing work..! Jon, Thanks for your kind words. Very well explained. I have lots of negative reviews posted by competitors and others not related to my business. All these are ranking on Page 1 for my branded keyword. Trying to push it down, but it doesn’t seem to drop to Page 2. Came to this post of yours when searching for a solution. Appreciate the efforts and I have also found some nice ideas to do ORM. Suresh, Glad the article was helpful. Let me know if I can help further. Very detailed! Thanks for the information.